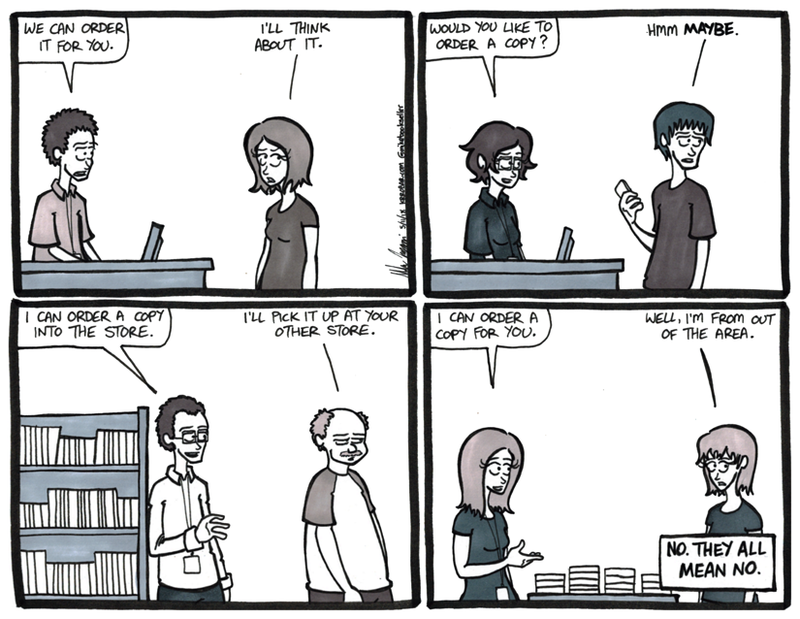 I get taken aback for a second or two when I ask if a customer wants to order a book into the store and they say “yes.” I am so used to people saying “No” nowadays. People have phones, glowing slates that connect to the entire world, and can probably have the book they’re looking for on their doorstep within 36 hours now. It’s crazy to think about. But what I don’t understand is why they don’t just come out and say “No.” Why couch the No in so many useless words?